The Koch brothers’ political operation has increasingly come to resemble its own political party — and later this month in San Diego, it will hold what amounts to its most ambitious convention to date. Many of the dozens of rich conservative invitees are expected to write huge checks to a pool of cash distributed among Koch-approved groups, potentially boosting the Kochs’ 2012 spending plan beyond their historic $395 million goal. And it’s also a chance for the Kochs to show off their increasingly robust political machine, including a growing voter database project called Themis that played a major role in conservatives’ recent efforts in Wisconsin and in which POLITICO has learned Koch operatives have discussed investing $20 million. 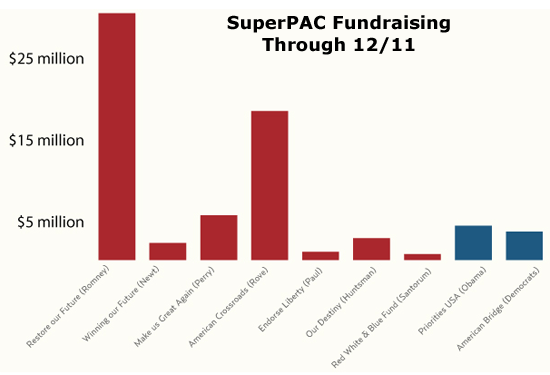 It’s part of an ambitious expansion of the billionaire brothers’ political operation that includes the recruitment of new donors and fundraisers into their network by a development team led by summit emcee Kevin Gentry, and their recent hiring of in-house political operative Marc Short to oversee the spending of funds raised at the summits. The expansion is also reflected in Charles and David Kochs’ bid to take over the libertarian Cato Institute as well as their operations steering cash to groups that aren’t commonly thought of as Koch affiliated. The 60 Plus Association, American Energy Alliance, American Future Fund, Americans for Limited Government and National Right to Life have all received funds through the Koch donor network. 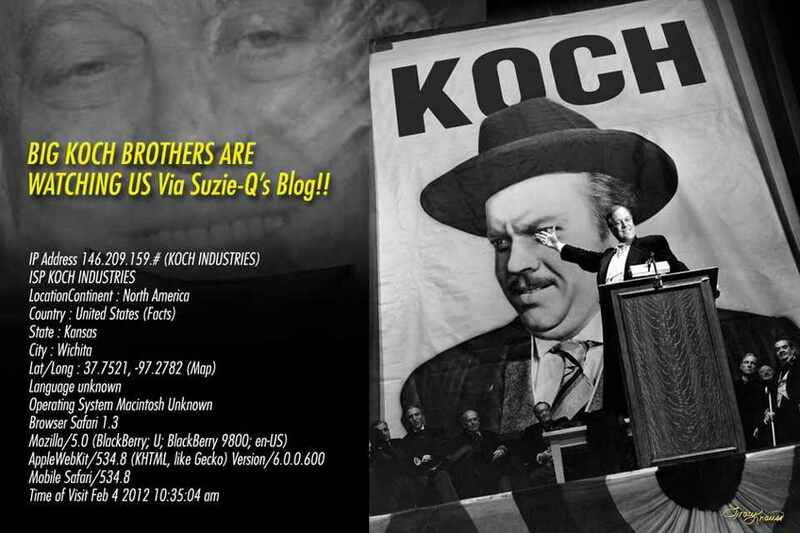 Big Koch Brothers Are Watching Us!